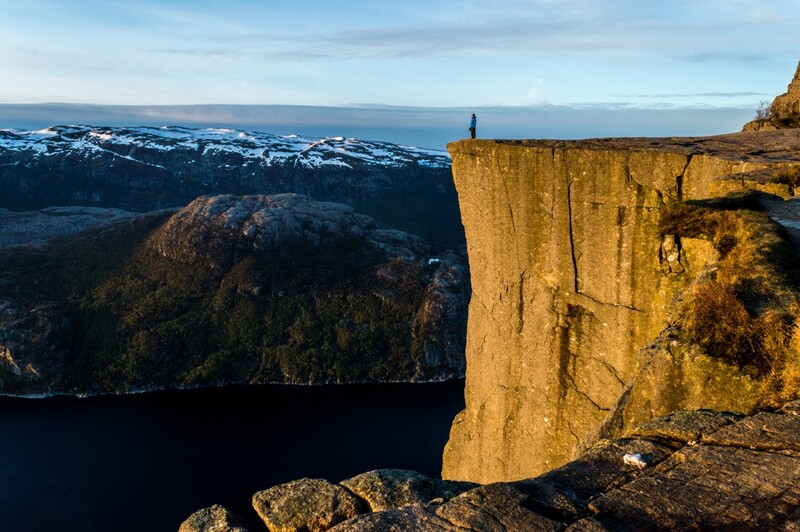 Europe’s diverse terrain and breathtaking landscapes make for some pretty epic hikes. I’ve picked the best hikes in Europe to fuel your next outdoors adventure. There’s nothing that I love more than strapping on my hiking boots and setting off on a trail. Europe has a huge number of trails with a diversity of lengths and difficulty: there’s something for you, whether you’re a seasoned pro or a first-timer. Looking for the best hikes in Europe? I’ve got you covered. 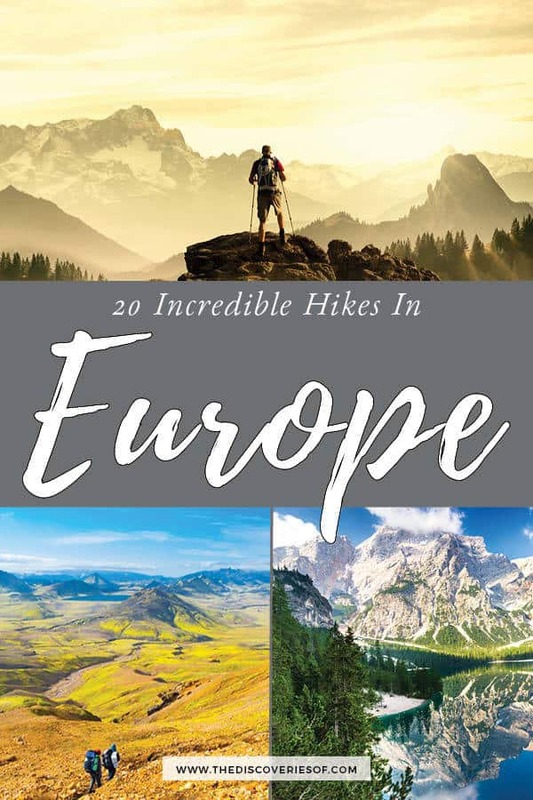 It won’t surprise you that there are a lot of long distance walks in Europe. 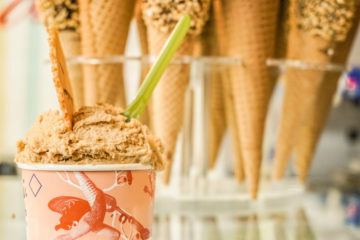 These are the ones you need to add to your bucket list. Slovenia might not be the country that immediately springs to mind when you think of hiking in Europe, but it should be. 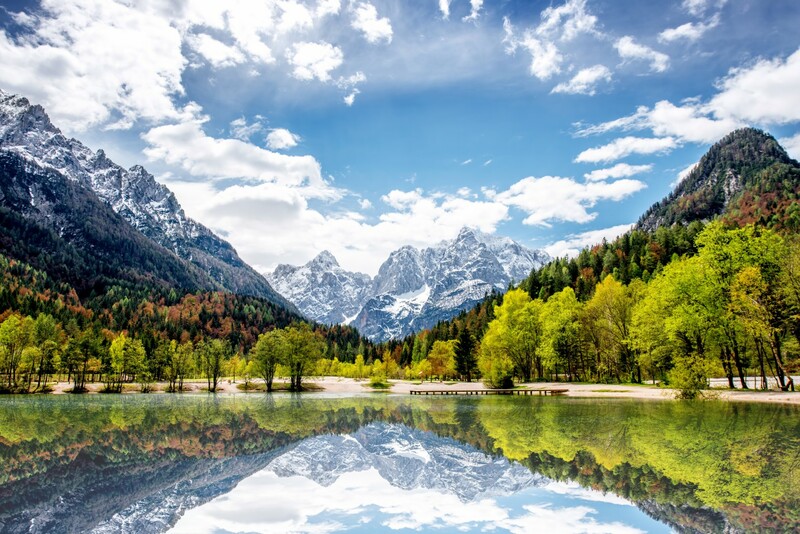 The Slovenian Mountain Trail links the country’s highest peak: Mount Triglav, with a number of other Slovenian peaks in the Julian Alps for a dizzying 500km route through the best of Slovenia’s alpine views. What’s more? It’s the oldest hiking trail in Europe. More and more people are waking up to the fact that Slovenia is one of the best hiking destination in Europe – but it still offers the chance to hike in complete solitude, something that can be lacking on some of the more popular trails. The South West Coast Path is a 630 mile (1,000km) path around the south western coast of England. The path was originally used by coastguards on the lookout for smugglers but is now one of the best hikes in the UK. 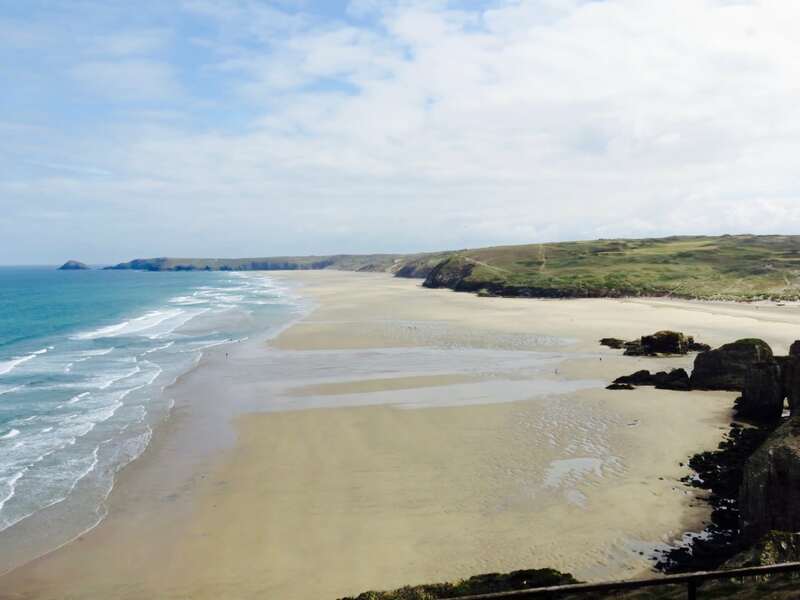 The path isn’t very difficult – it’s well marked and along unchallenging terrain but what really makes it stand out are the beautiful shoreline views of the changing south-west coast. It starts at Minehead in Somerset and ends in Poole in Dorset, taking in the whole of the Cornish coast, including Newquay along the way. It can be walked in either direction and is easily split into smaller stages. The relatively new Rota Vicentina showcases the south-west of Portugal in its full glory. 450m in total, the route is made up of two large trails: the Fisherman’s Trail and the Historical Way, plus a number of short circular routes. The Fisherman’s Trail follows the wild Atlantic coastline, while the Historic Way traverses small rural village and the little-known landscapes of the south-west. 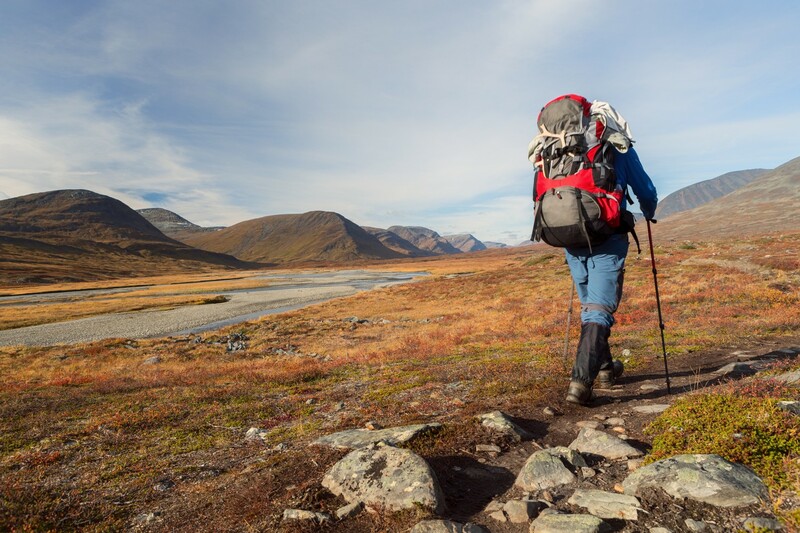 The Kungsleden is one of Sweden’s best-known hiking trails but few people hike the full 440km-long trail in one go. Though it’s a popular option to hike it in the summer, you can also ski the trail during the winter months. The northern section of the trail in Swedish Lapland offers some of the most spectacular hiking in Europe: through a natural valley, surrounded by mountains and wildlife including bears, golden eagles and lynxes. The Tour de Mont Blanc is often named as the best hike in Europe. Taking in three countries, France, Switzerland and Italy, the 170km route starts and finishes in Les Houches, Chamonix, encircling the highest mountain in Western Europe. Alpine scenery is very much the main attraction here, not to mention dramatic views of the trail’s namesake itself. The path climbs a total of 10,000m throughout its course, so it’s pretty tough going but doesn’t require any technical hiking – just a good level of fitness. 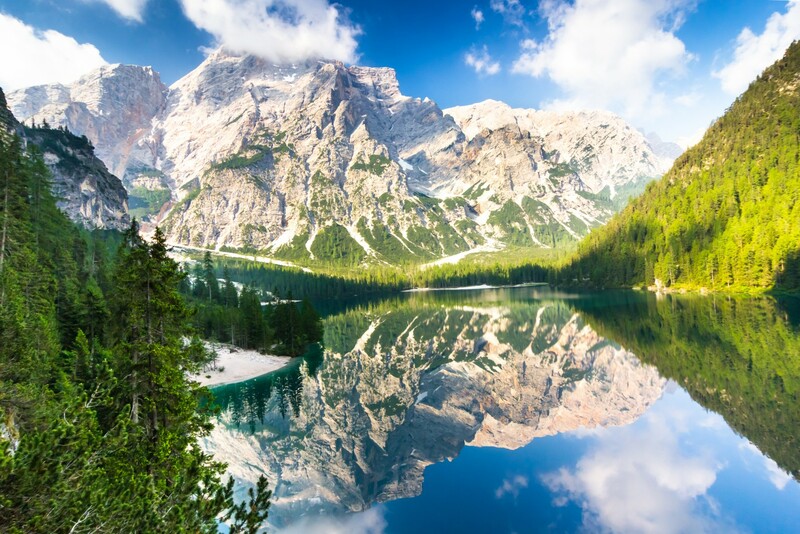 The Alta Via 1 is a thrilling hike through the Dolomites in Italy, starting in Dobbiaco and cutting its way through to Bellumo further south. 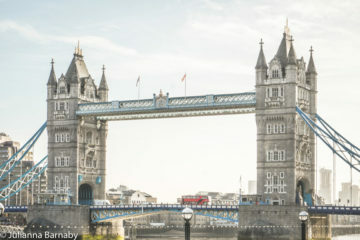 This relatively high altitude hike takes in so many stunning vistas it’s hard to take them all in – it also passes through a number of World War One sites. The views alone guarantee it a spot on any list of the best hiking routes in Europe. The more adventurous of you can try your hand at the (optional) cable routes, which allow you to explore the steep hillsides and tunnels. 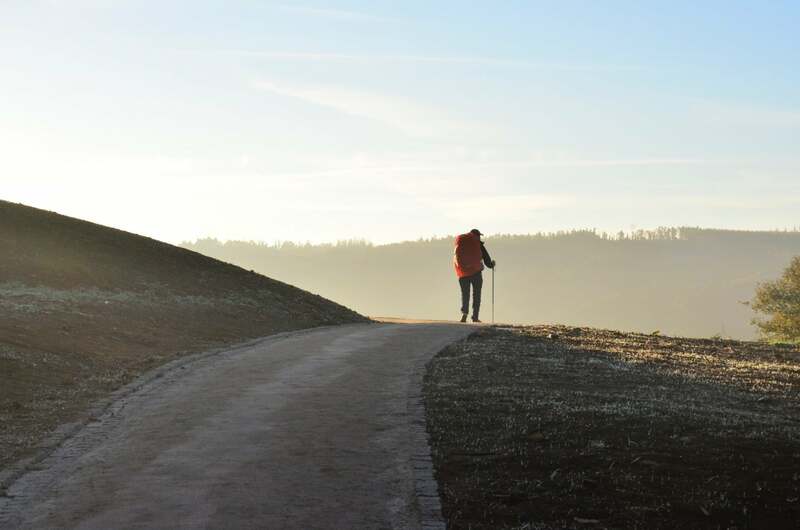 A famous pilgrims’ route, the Camino de Santiago is otherwise known as The Way of St James. The route goes to Santiago de Compostela, the burial place of St James. The Camino covers a number of routes, the most famous of which is the Camino Frances from St, Jean Pied de Port in France. The path crosses the Pyrenees and then wends its way into Spain through cities such as Pamplona and Leon before arriving in Santiago. Hiking and great wine? What more can you ask for? The 8 day GR5 and Red Rectangle is the best introduction to walking in the Alsace region. The route forms part of the much longer GR (Grande Radonee) 5 walk. 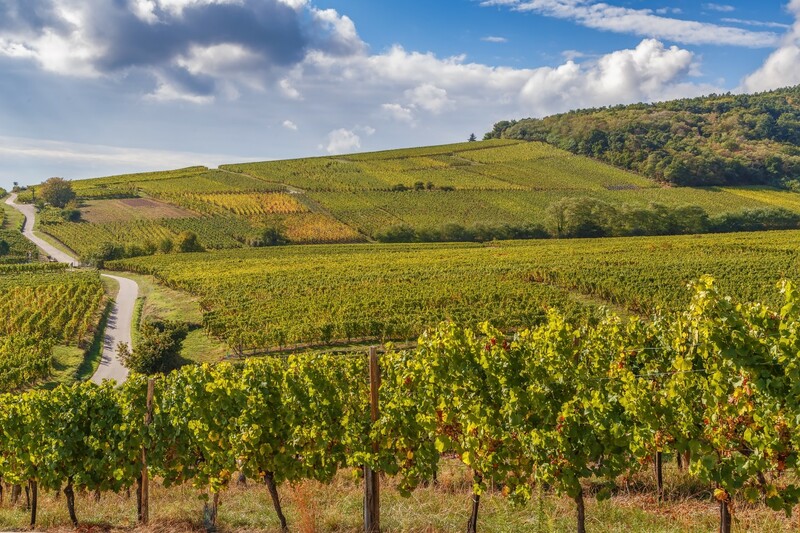 The Alsace section takes you through innumerable vineyards, chateaus and quaint Alsace towns. The West Highland Way traverses some of the most dramatic scenery in the UK and is well-known as one of the best walking trails in Europe. This 96-mile route starts in Milngavie, near Glasgow and climbs upwards to the remote town of Fort William, near to Ben Nevis. 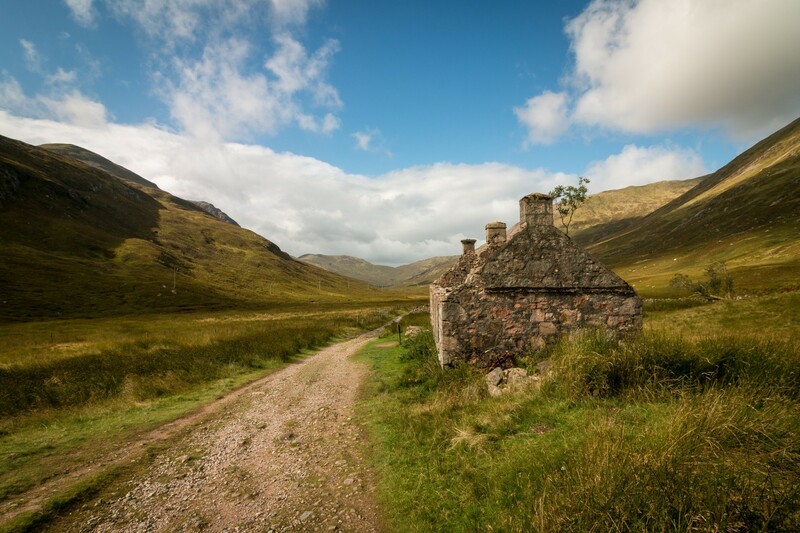 The trail is big on views – you can even do a slight detour and climb Ben Nevis, the highest peak in the UK. While there are some steep climbs, the West Highland Way is a relatively easy hike and can be completed by anyone with moderate fitness levels. The Laugavegurinn is one of the best treks in Europe thanks to its colourful landscapes and jaw-dropping views. It’s a relatively short trail (55km) but manages to cover hot sprigs, mountains, canyons, volcanic deserts and ice caves throughout its course. 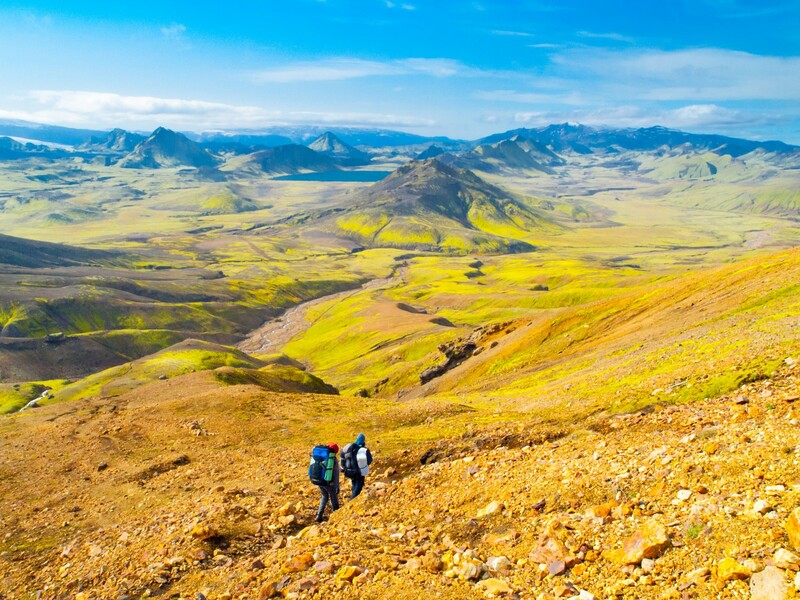 It’s one of the most popular hiking trails in Iceland, thanks to its relatively easy terrain and accessibility. The Cinque Terre’s Sentiero Azzuro (Blue Trail) might be one of the shortest paths on our list of the top hikes in Europe but that doesn’t make it any less spectacular. Actually four separate paths along the Cinque Terre coast, you could hike the entire thing in six hours without stopping. Where’s the fun in that though? 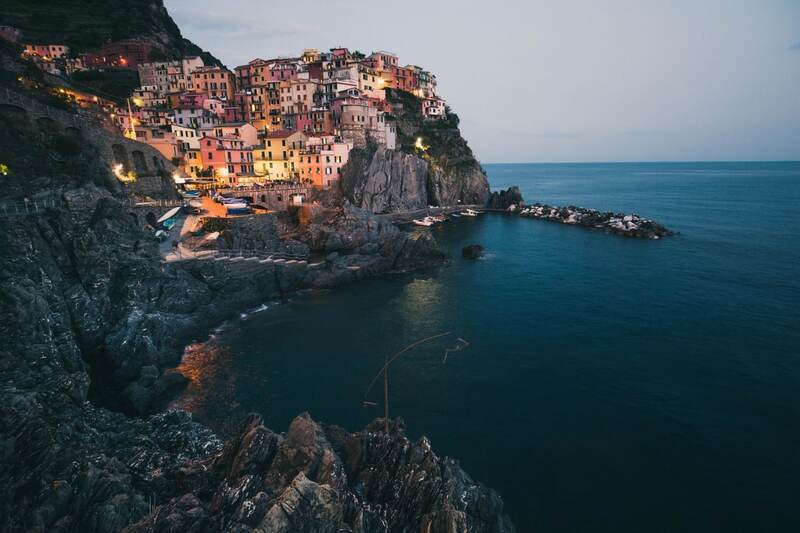 The Cinque Terre is home to some of Italy’s prettiest towns and best food, so take a few days and enjoy them, and the route, at leisure. Unfortunately, some parts of the path are closed, thanks to flash flooding a few years ago. It’s best to check the status of each section before you start. If a section of the coastal path is closed, you can take the alternate inland Red Trail path instead. This is one of my personal favourite day hikes in Europe and a recent addition to this article. 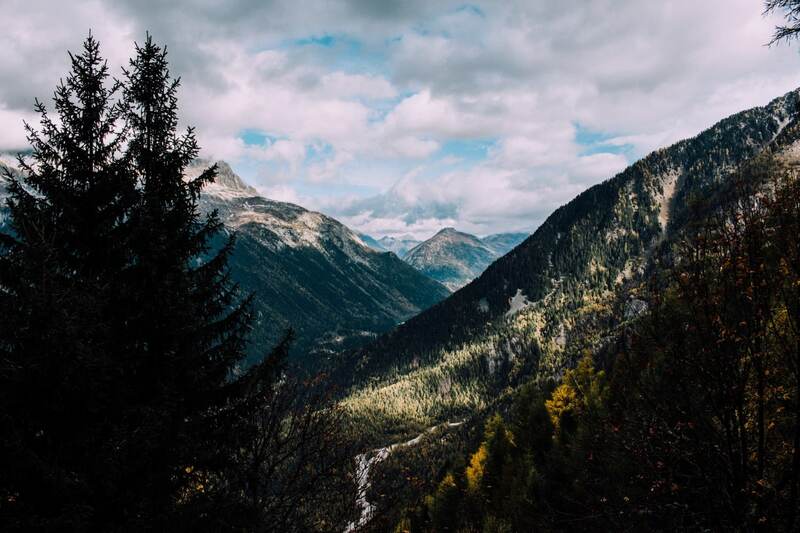 Hiking in the French Alps is always an adventure – there’s a reason that it’s always named one of the best hiking destinations in Europe. However, sometimes you don’t have the time to do a big multi-day hike. That’s when the Ecrins National Park really shines. The park is a couple of hours’ drive from Grenoble – and there are plenty of parking spots for you to park up and set off on the hike of your choice. I’d recommend the Pigeon Loft Loop – a six-hour hike that gains altitude quickly to give you absolutely stunning views out over glaciers and peaks and down to the valley below. It’s a medium-difficulty hike – the first part of the hike is a neverending and quite steep trudge upwards – but the views more than make up for it. It seems like these days everyone’s climbing Pulpit Rock. You can’t open Instagram without seeing a shot of some nomadic type staring out into the distance from the high precipice. That said, the hike and the view from the Preikestolen are pretty majestic and very much worth the effort (and the crowds). If you’re looking for a slightly less crowded experience, you can do the hike before watching the sun rise at the rock – we’d recommend a guide for this though. Another short but sweet path, the Sentiero degli Dei winds its way from Praiano to Nocelle in Positano. The name of the path translates as “The Path of the Gods” thanks to the combination of spectacular views and the height of the route. 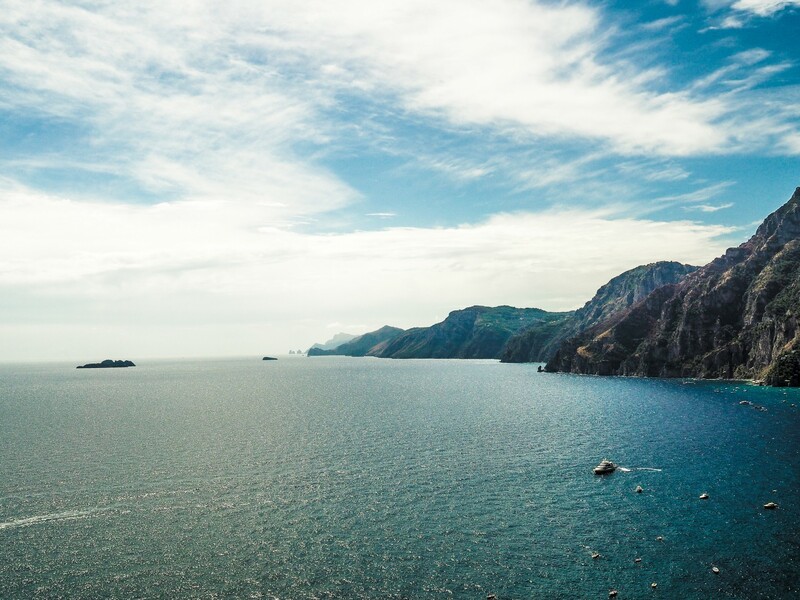 Walk the path from Praiano to Nocelle – the path mostly slopes downwards in this direction and boasts stunning vistas over the Amalfi Coast and out to Capri. It’s a steep uphill climb from Praiano but very much worth it. Hikers love Jungfrau thanks to the seemingly endless number of day hikes you can take in the region. 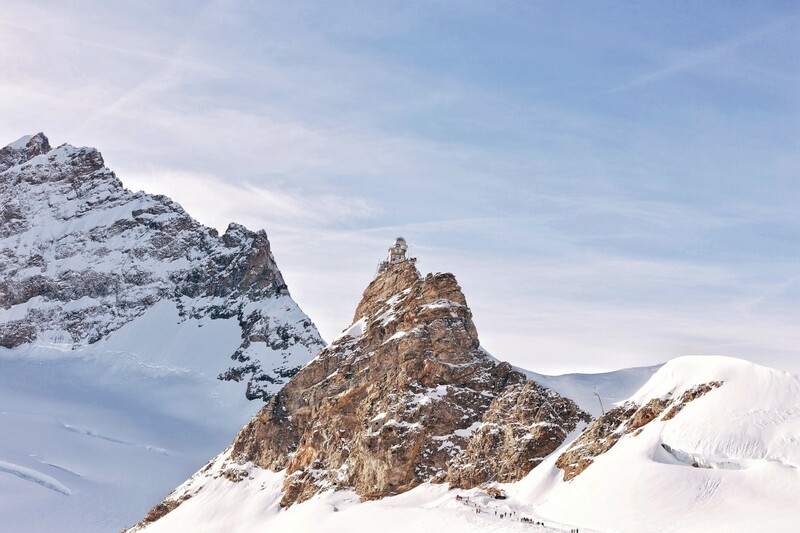 Hiking in Europe, particularly in the mountains can be quite difficult to plan, thanks to the ever-changing conditions – but if you hike in the Jungfrau region, there are hikes suitable for every weather condition possible. Base yourself in Wilderswil, Grindelwald, Wengen or Mürren and take your pick from hikes through verdant meadows and valleys. Looking for a real challenge? 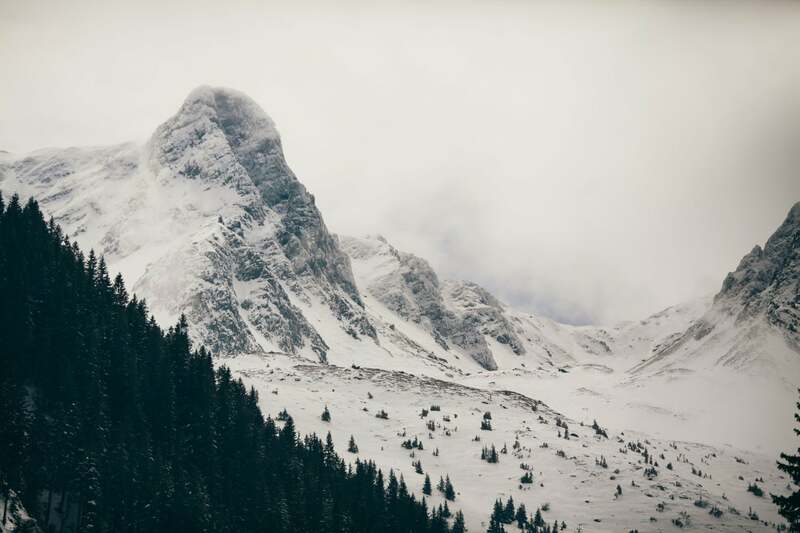 There are many hikes to take on high alpine passes and cling to the steep mountain slopes. Not one for the faint-hearted, the GR20 is constantly cited as the toughest hiking trail in Europe and one to consider if you’re looking for a Europe backpacking trip. This is in no small part thanks to the numerous ascents and descents, steep inclines and rocky paths. Cutting across the heart of Corsica, the path is very demanding and should only be attempted if you’re sure you’re fit enough. Those that undertake it are rewarded with the thrill of conquering one of the toughest and best hikes in Europe. Hiking in Meteora isn’t the easiest task, thanks to a lack of well-marked trails and few clear maps. 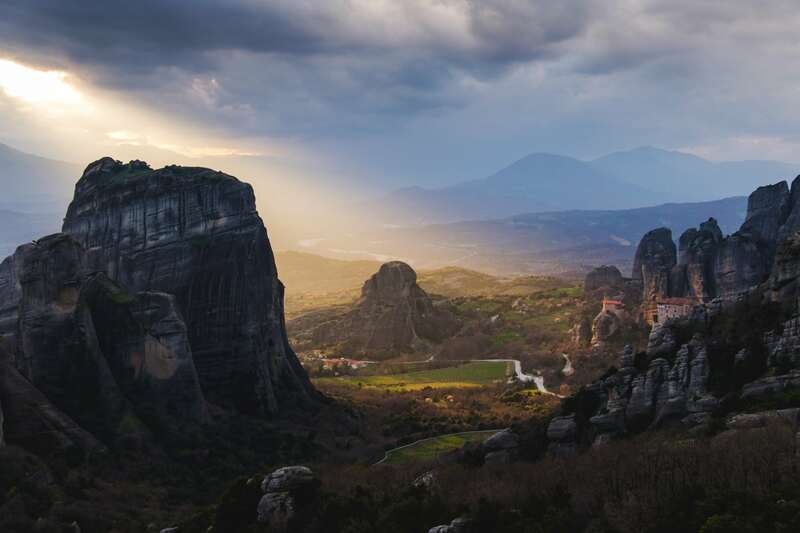 Why is Meteora one of the best places to hike in Europe? It’s hands down the best way to see the strange sandstone spires for which the area is famed. The spires are also known as the unlikely location of several monasteries: during its prime, the area housed 24 monasteries and convent, each of which could only be accessed by ladders or pulleys. The best day-long hike starts at the foothills of Doupiani Rock before making its way to Ypapanti, St Dimitrius and Great Meteoron. 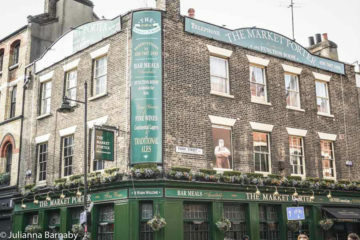 It uses some of the old footpaths used by the monks, but can be pretty rough going so make sure you’re properly prepared. Romania is one of Europe’s lesser-known hiking destinations. The hike along the ridge of the Fagaras Mountains in the Carpathian Mountain range is a spectacular one and one of the best European hikes that barely anyone knows about. The Fagaras Ridge route takes in the highest peak in the country, Mount Mondoveanu and boats impressive vistas out over Transylvania. This hike is very much off the beaten track, with very few facilities and accommodation, so bring a tent and a hiking companion. The best route is from Plaiu Foii and to Sebesul de Sus. Andorra might be tiny but what it lacks in size, it makes up for in views. 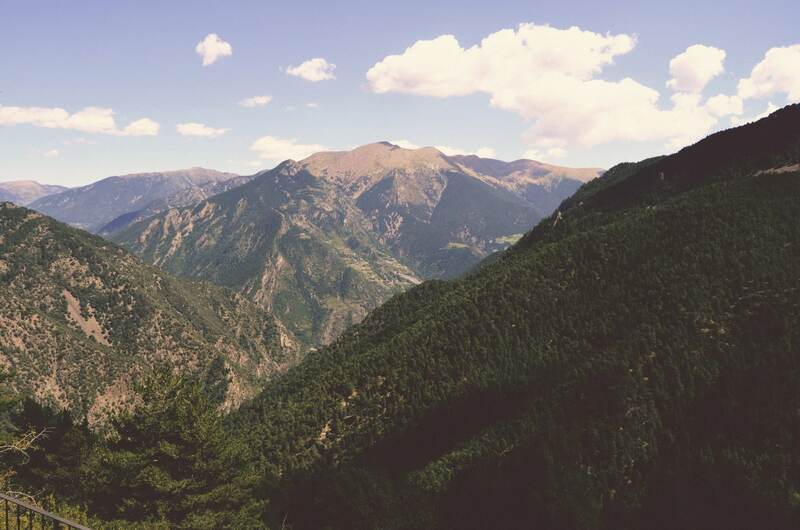 Located wholly within the Pyrenees, it should come as no surprise that Andorra has a number of spectacular hikes for you to chose from. My pick of the bunch is the day hike around the Pessons Lakes. 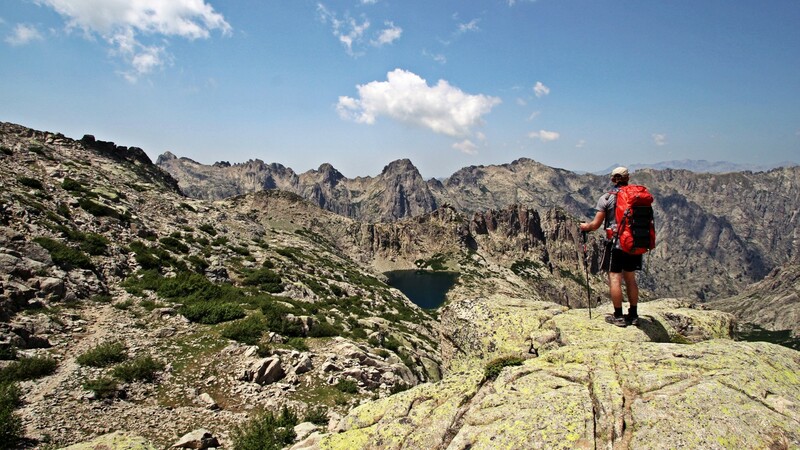 The trail starts in the Encamp valley with a steep climb up to the first lake before a much gentler route to the lakes of Estany Forcat, Estany Rodo and Estany del Meligar and the Pessons Pass. Go for the solitude and the dramatic views. 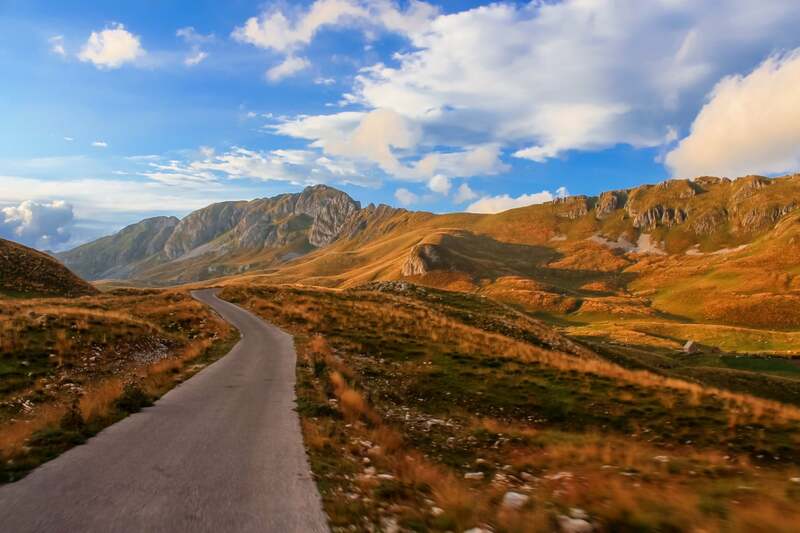 Durmitor is a little off-the-beaten path – and those who do go mainly make a day trip from Kotor, but go for a few days to experience some of the best hiking and views Montenegro has to offer. While there are a lot of hikes in and around the park, you shouldn’t miss the ascent to the top of Bobotov Kuk, Montenegro’s highest peak. It’s a tough one-day ascent that takes 7-9 hours round trip across a lot of rocky terrain but is well worth it. 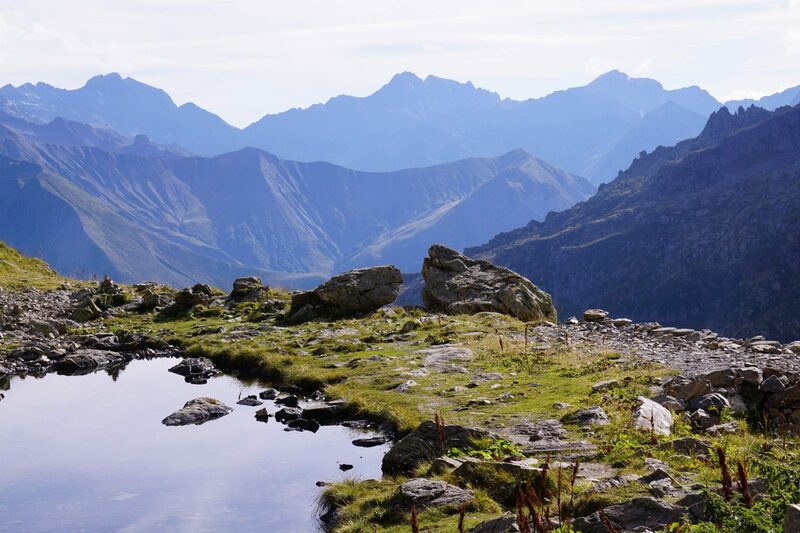 The Tatra Mountains, in the south of Poland and the north of Slovakia are relatively unknown outside of the two countries but offer magnificent hiking trails and some of the best hikes in Europe for those intrepid enough to get there. The Tatra Mountains stand at the north of the Carpathian mountains, and cover a relatively compact area that’s only 80km long. There’s plenty packed into that 80km though – including almost 100 summits over 2,000 metres. 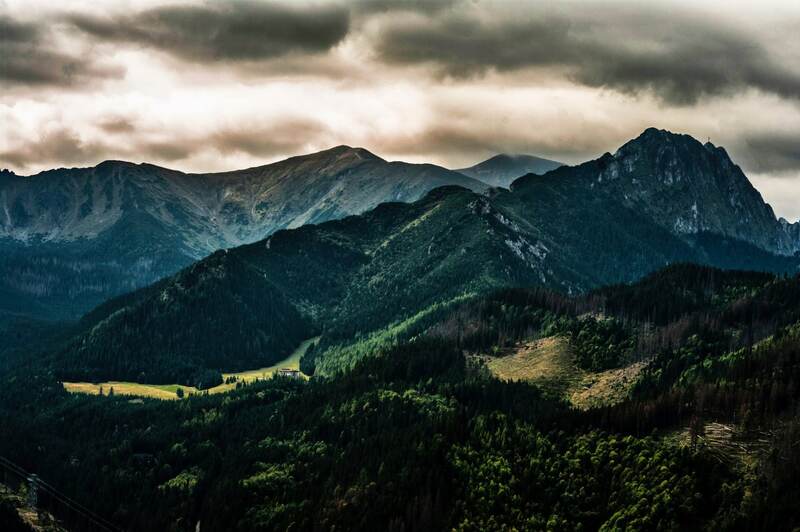 Hikers tend to base themselves in Zakopane and take a number of day hikes from there. Otherwise get a map and bring a tent to get completely off-grid. 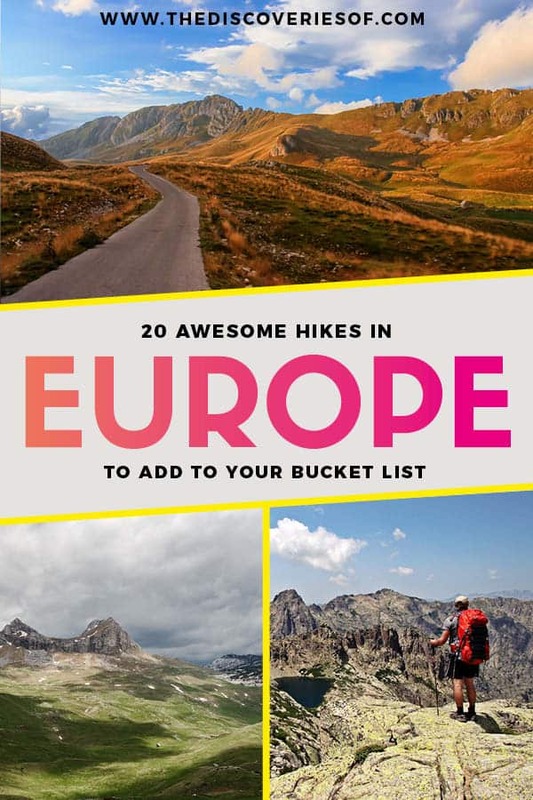 Are you ready to take on the best hikes in Europe? Awesome list! I’ve done the Iceland’s and Scotland’s trails, plus some bits in Tatras… I dream of doing the Swedish King’s trail and Corsica’s GR20… So many beautiful trails in Europe! I did the Way of St. James 2 years ago, breath taking AND fun! took me around 32 days more/less. 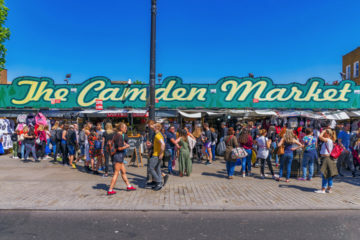 I NEED to go back but now I have an 9 month old who needs my full attention… So I am looking for something less than a week and easy like El camino. What an adventure! I don’t know where you’re based but the South Downs Way in the UK is beautiful and relatively easy. It’s hilly, but not ridiculously so. 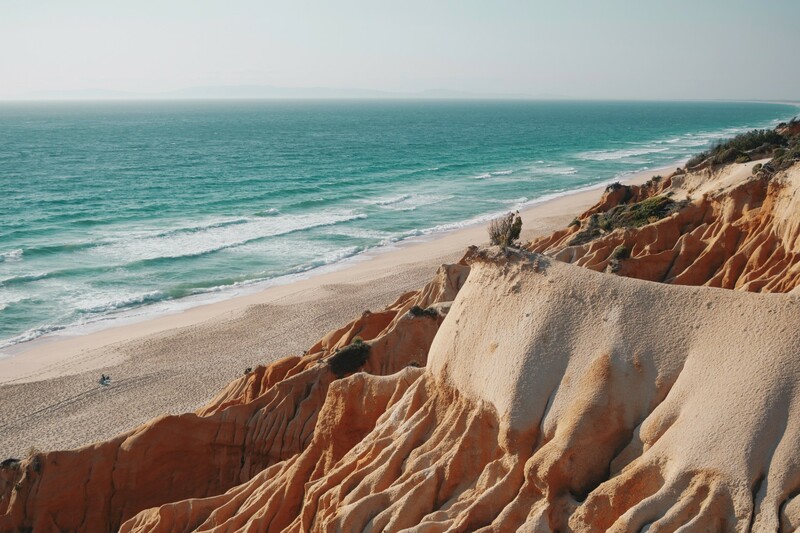 The Rota Vicentina in Portugal is incredible too – you have two choices of main routes: the Fisherman’s coastal trail and the Historical Way (which is actually part of the Portuguese Camino), plus a number of add-on circular trails along the way. I’d really recommend it as the walks are stunning, not too taxing and as long as you avoid the summer months, the weather’s good too. Hope that helps and that the article has provided you with some inspiration!